Since the first of the year, my life has been a bit too busy. 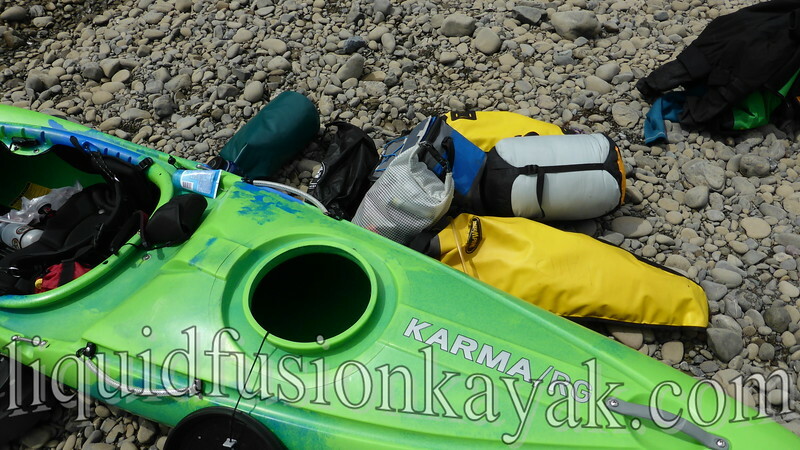 I've had my head down with a remodel project in our home and been working on the nuts n bolts business end of Liquid Fusion Kayaking. Things are coming together, and I am starting to see the light. Now it is time for my sweetie to take me to the river. My first multi day kayak trip - 169 miles self support on the Eel. Many women dream of trips to Hawaii, Mexico, or Europe. My vacation fantasies are mostly about multi day kayak trips in the wilderness. I enjoy the simplicity of boat, camp, be. No telephone, no Internet, no lights, no driving - just being. In particular I like river trips. 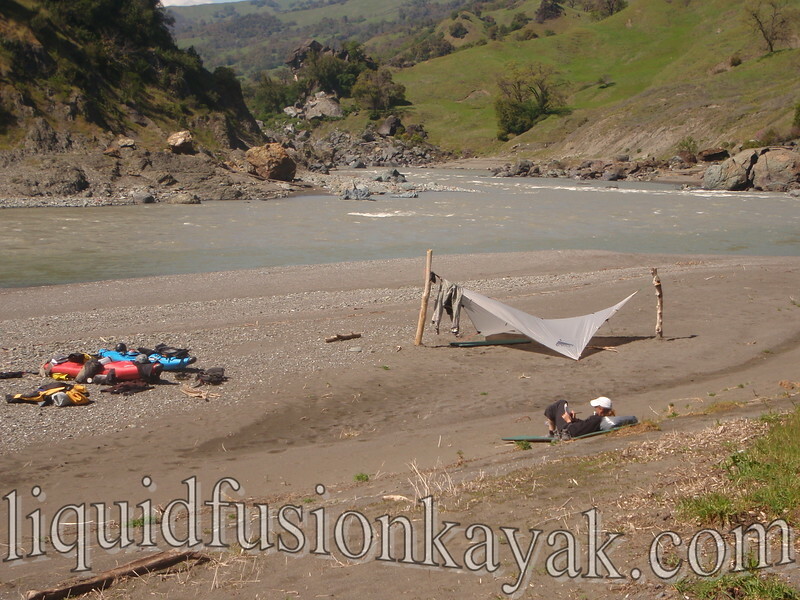 On the river, the weather and the logistics tend to be simpler than trips on the coast. Freshwater is present for drinking, cooking, and bathing, and the weather tends to be less temperamental. It is nice to not have to be prepared for coastal paddling's weather what if's - what if the fog socks in, what if the swell picks up, what if the tide/currents are different than our calculations, what if there is no fresh water. On the river, we go with the flow. Going with the flow depends upon the river and the paddling group. 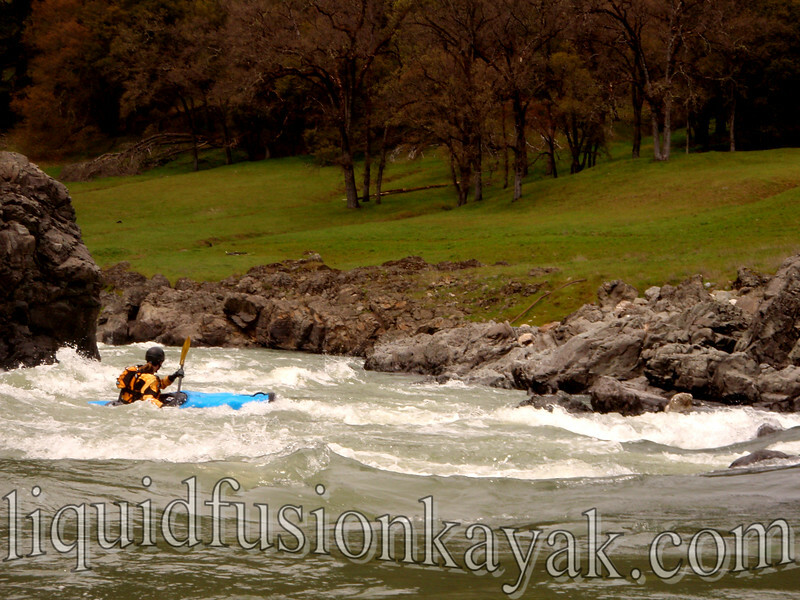 Some river trips are relatively calm, flat water trips while others involve whitewater. I tend to like a little bit of both. I love the challenge of running rapids. 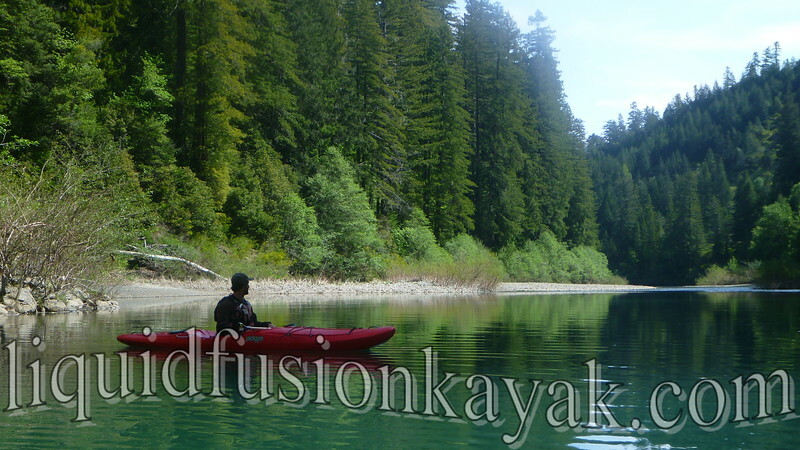 However, one of my favorite parts of river kayaking trips is lazily drifting in the current - floating, spinning, day dreaming, and being a part of the river. 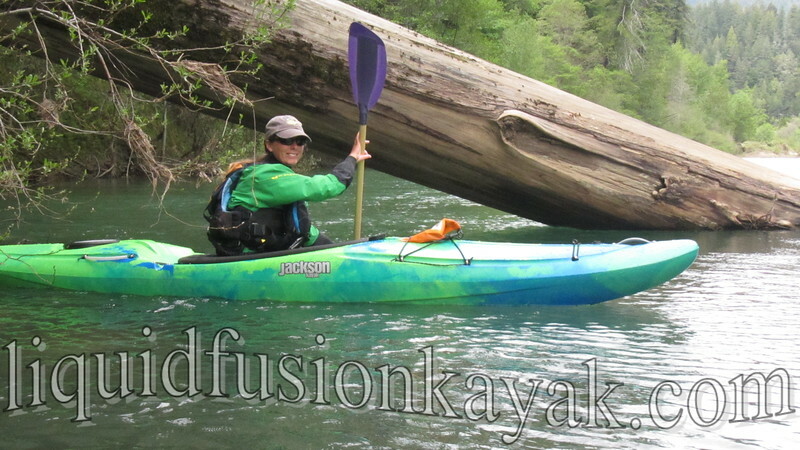 Eventually one finds a paddling partner or group that has similar go with the flow interests. 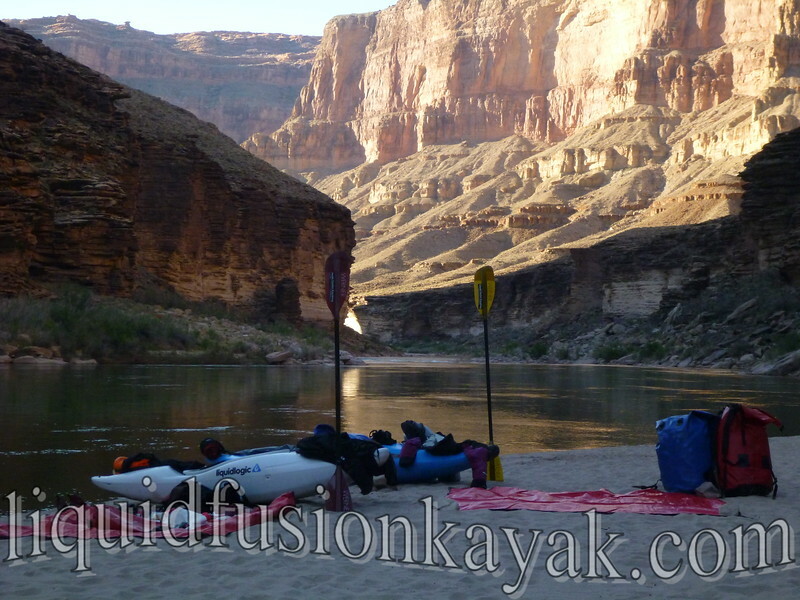 Some paddlers like to do it all and see it all and rack up the miles. Others tend toward more leisurely trips. Jeff and I are definitely of this mentality. Let's do the fewest miles in the most days possible. We love leisurely mornings and lay over days. Lay over days are days where you don't break camp and stay in the same spot. They give you the opportunity to explore an area more by foot, rest and relax, fish and forage, soak in a spring, or play on a surf wave. I'm ready . . . Take Me to the River!